We are so excited to meet you both and find out more about your wedding day. Whether it's been planned out for years, or you're just getting started – we're all ears and would love to provide our expert input/feedback wherever you want it. *We pride ourselves in flexibility and want to help. If you think we're out of your budget, just reach out anyways. If we can't personally shoot it, we can certainly point you in the right direction to someone who can! 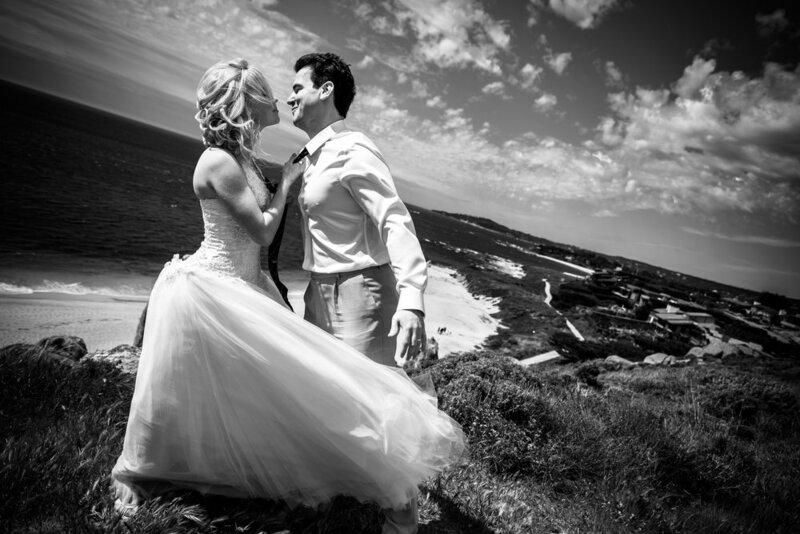 You deserve stunning wedding photography, and we'll do whatever we can to make that happen for you. We want to hear your unique story, what is (and isn't) important to you. If you are seriously interested in a GoodEye wedding, please make the effort to communicate with us. We'll respond right away, just you see! Because we actually, genuinely enjoy photographing the most important day in your life, we have zero interest in shooting 100+ weddings every year. That's not good for us, and it's not good for you. We intentionally limit our availability to roughly 25 to 35 weddings per year, and book up around February or March. After that 25th wedding is booked, we get very picky about taking on any additional weddings, and the price is likely to go up as well. Bottom line: just tell us as much as you can about your big day, and if Chris (the owner) or another GoodEye Associate is not the best fit for you, we'll do our best to hook you up with some appropriate referrals with no strings attached. Hundreds of brides from years past certainly have no regrets, we'd love to be your next savvy wedding investment. Since the Bay Area is often a destination for our couples – many opt to skip the fanfare and higher prices associated with more traditional weddings – and decide to elope on the beach, park or other cool place that's special to them. Often it's just me as photographer / witness, the couple and the officiant! Very cool. These are basically engagement sessions + a short, intimate ceremony; elopements are essentially very small weddings with only a few people attending (max 20). If you’re planning a weekday wedding, but still inviting over 100 guests, you’re looking at standard wedding package pricing (sorry!). The gallery above is a quick snapshot from a recent elopement in Moss Beach (north of Half Moon Bay) – we started with a first look at the hotel, then I took them around Fitzgerald Marine reserve for some formal bride and groom portraits. Then, the officiant arrived and we walked down to the beach for a short ceremony. Afterwards, I convinced the couple to change into some regular clothing so we could finish up the session with some more casual portraits, ending at sunset. All this in about 3 hours! I never get this much exclusive time with a couple on any full wedding day... See more of Tiffany and Mike's elopement photos. If you haven't already, feel free to review elopements we've shot recently at various locations, mostly in the Santa Cruz area. The process in a nutshell – a) book the package that best fits the location(s) you want to shoot at + about how many photos you want to keep from the session (only the premium package includes ALL the files, you must choose your favorites from the other packages), b) we coordinate the shoot location and timing to make sure it all goes perfect, c) I’ll present the results in person or online, and you can choose your favorite photos to keep and do with as you wish. If you’re local to the Bay Area, I usually prefer to present the edited photos to you in person (see my process here); if you’re not local, then I present photos via temporary online proofing gallery, which gives everyone about a week to put in their orders (with extensions by request). Prices subject to change during busy season. Prices locked in at time of booking. Due to high demand, session availability is limited to weekdays only (and I discourage friday evening as beaches / public spaces can be busy then). Check availability here. Feel free to call (831) 216-6210 to discuss scheduling or any other questions you may have. She said yes – awesome! Now the real stuff begins. Ideally you have your engagement session with your wedding photographer, as this is the perfect chance to figure out how you work together and fully prepare you (and get you excited about) your wedding day; however, we often work with couples who are having destination engagement shoots, and getting married out of the area / country. We're happy to help either way. If you haven't already, feel free to review hundreds full engagement sessions we've shot recently at various locations from San Francisco to Big Sur. Don't worry, they're organized by location type so it's easy to get location inspiration for the type of spot you're into. If you decide to book us for this awesomely special moment in your lives, we'll fully prep you with everything we both need to pull this off flawlessly. It's best to figure out the date/time over the phone, but once that's settled we can get into the nitty gritty of the where & how. If you haven't already, feel free to review full proposal sessions we've shot recently at various locations, mostly in the Santa Cruz area.